nj arts maven: “Frozen” Master Class - Columbus Day - Register Today! 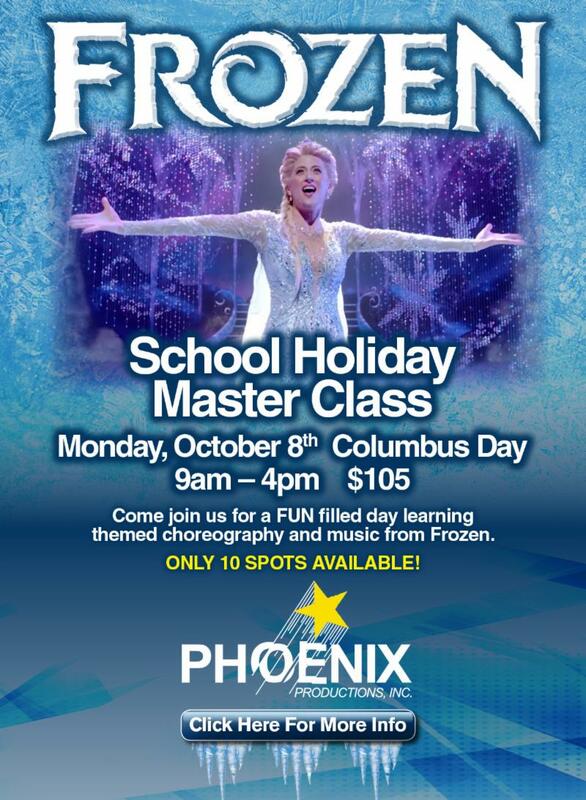 “Frozen” Master Class - Columbus Day - Register Today! Spend your Columbus Day exploring musical theatre Frozen themed! Learn themed Choreography, songs and fun in the themed style of this popular musical. This is an opportunity you won’t want to let go!